India vs New Zealand 4th ODI: The Indian cricket team have swept away the ODI series against New Zealand in just three matches, but the visitors are not ready to settle with the wins. The team expects to wrap up the five-match ODI series with all wins and to use this platform to strengthen the team ahead of the ICC World Cup. With the fourth ODI coming up, many benched player will be getting an opportunity. With Virat Kohli rested and the team led by Rohit Sharma, there is sure to see some fireworks in Hamilton. Here’s a look at the predicted XI for the Indian team. India’s vice-captain and now the captain, Rohit Sharma has had a tremendous form in this series. He scored two back-to-back half-centuries (87 and 62) in the second and third ODI respectively. Hope the captaincy helps the Hitman score a century. Nicknamed ‘Gabbar’ by teammates, Shikhar Dhawan showed good form in the first two ODIs. However, the hard-hitting opening batsman went off the boil in the third ODI.Dhawan didn’t have a great ODI series in Australia, but he made sure he did it New Zealand.The batsman is eagerly looking to score some runs in the upcoming ODI. Indian team debutant Shubman Gill has been the talk of the town. The Punjab batsman has scored 1,089 runs in 9 first-class matches and 1,529 runs in 36 List A matches. 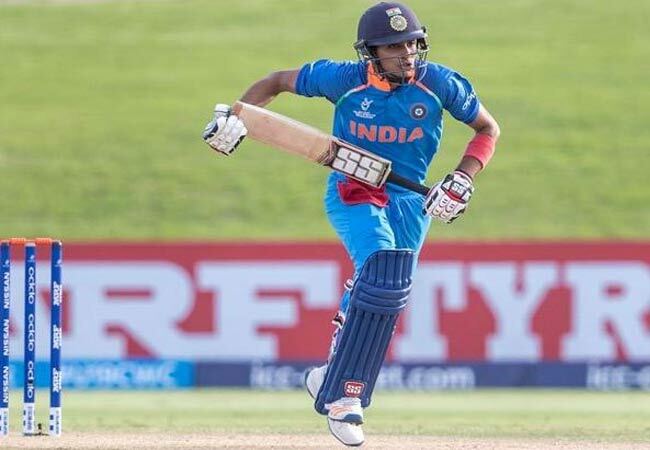 The star of the U-19 World Cup in 2018 was even complimented by skipper Virat Kohli saying that he was not even 10% of what Gill is at the age of 19. Playing a crucial role in the second ODI and having a partnership with Virat and MS Dhoni, Ambati Rayudu has made his place in the team.Batting at number four in this series, he hasn’t got enough time to show his potential. There are hopes; he will make this series worth for the World Cup selection. The wicketkeeper who suffered a hamstring injury in the second ODI and missed the third could possibly make a comeback.If declared fit, he could replace Dinesh Karthik. Having played some good knocks, Dhoni has shown that he can still finish games with his cool and calm demeanour. Being good with the ball, Kedar Jadhav has not managed to do much with the bat. In the second ODI, Jadhav made an impact with the 10 deliveries he faced with a score of 22 runs.He also shared an important partnership of 53 runs with MS Dhoni which helped the visitors to take their score over 320. Embroiled in controversies, Hardik Pandya made sure his comeback would leave a mark on everyone. From taking two wickets to the stunning catch to dismiss New Zealand’s best batsman Kane Williamson, Pandya did impress everyone.Calling him the balance creator in the team line up, we hope he continues to perform with the bat and ball and not with his mouth. The less said the better as Bhuvneshwar Kumar has made everyone happy with his good bowling rhythm.The fast bowler provided early breakthroughs in the last two ODIs. Mohammed Shami even said that Bhuvneshwar’s bowling has helped him bowl better at the other end. Being a major part of the bowling unit, Kuldeep Yadav has taken consecutive four-wicket hauls in the first two matches.He went wicket-less in the third ODI, but still bowled an economical spell of 4.87 in eight overs. He along with Yuzvendra Chahal – the duo being called KulCha – have restricted the opposition’s runs in the middle overs. The quirky man who now runs the Chahal TV for BCCI has been bowling brilliantly since the third ODI against Australia. Yuzvendra Chahal chipped in with two wickets in each of the matches. If India decides to go ahead with one spinner, he could take Kuldeep Yadav’s place in the World Cup. Since the first Test against Australia in Adelaide, Mohammed Shami has been playing non-stop. The Indian team would want to give the bowler rest and play Mohammed Siraj instead. Siraj didn’t start off his ODI career well but if given a chance could help the team. Welcome to the CrickeX Cric info where you get to know about Indian Cricket News and also the breaking news related to Cricket. © 2018 CrickeX.in | All Rights Reserved.